In its day, there was hardly a better action movie than Terminator 2: Judgment Day. What size this production has; what crowd-pleasing excitement. Marked by its bravura special effects and unending series of action sequences, the production sells itself: Arnold Schwarzenegger plays the good guy this time around and exudes as much personality as his beefy acting chops can muster. Linda Hamilton shocks all with her transformation into a ferocious survivalist. Breakthrough shape-shifting CGI renders an iconic movie villain. And director James Cameron, then in his prime after Aliens (1986) and The Abyss (1989), takes the scope far beyond what he achieved in the first and even offers unexpected emotional value. But that qualifier “in its day” is truer than some fans want to admit. Every entry into the Terminator franchise thus far has aged badly, and here we have some dreadful early-1990s signifiers that are unintentionally funny upon revisitation. Consider the kitschy Bart Simpson-like phrases such as “No problemo” and “Hasta la vista, baby” that serve as the film’s comic relief and way of appealing to Generation X youngsters. Then again, how else does a time travel film work if not by identifying very specifically the time to which it travels? Since the release of The Terminator in 1984 and its huge box-office success, Cameron had been exploring the possibility of a sequel. An early version of a script for the first film contained a liquid metal terminator, an idea that was scrapped because special FX technology could not adequately represent the character at the time. After using CGI to depict water-based formations in The Abyss, Cameron’s liquid metal idea now seemed possible. Nevertheless, rights disputes between previous financiers at Hemdale Film Corporation and Mario Kassar’s Carolco Pictures—which had released Schwarzenegger starrer Total Recall in 1990—prevented development, until Schwarzenegger convinced Kassar to buy the rights no matter the cost. After Kassar’s $5 million purchase, Cameron and William Wisher began writing and completed their draft in May of 1990. With a massive budget of $94 million (the original’s cost was just over $6 million), the production began shooting the following October and lasted until March of 1991, with much time spent on its Oscar-winning special FX and CGI implementation. The film would go on to make $204 million in U.S. box-office receipts, becoming the year’s top earner, an unprecedented success on home video, and develop an instant legacy for its epic action sequences. In terms of story structure, the basic outline follows its predecessor almost exactly. If it had been released today, Terminator 2: Judgment Day might even be called a reboot of the franchise, aside from its numeric title. Indeed, just as Cameron repeated several elements from Ridley Scott’s Alien (1979) while also deepening the film’s mythology in his sequel Aliens, the director duplicated several themes from The Terminator and expanded on them by adding layers to his basic outline. 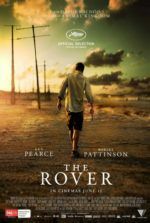 Consider the parallels between the two films: In each, two time-travelers, one bad and the other good, return to fight over John Connor’s eventual rebellion against the super-computer Skynet. Someone is deemed crazy (by the same psychologist, Earl Boen as the snide Dr. Silberman) for their belief in Judgment Day. The Terminator says “I’ll be back,” almost as if delivering the line exclusively to gratify the viewer. Lots of stuff is blown up. And then, in the industrial plant finale, all evidence of time traveling robots is disposed of quite conveniently. Despite these parallels to The Terminator, the story is tweaked just enough to keep it interesting, with the similarities written off as dramatic irony. These moments wink at the audience, and in turn, we roll our eyes. The story, as if you didn’t know, follows rebellious 10-year-old John Connor (Edward Furlong), whose biological mother Sarah (Hamilton) is now locked up in a mental institution, raving about Judgment Day—supposedly coming in 2029, when artificially-intelligent defense system Skynet wipes out most of humanity by launching a nuclear attack. A liquid metal-based Terminator, dubbed T-1000 (Robert Patrick), who can morph his body into blades and change his appearance at will, goes hunting to kill John, the eventual resistance leader against Skynet’s army of machines. Pulling the old switcheroo, the film places the now-archaic cyborg Terminator (Schwarzenegger) in the hero role to protect John from the T-1000. John learns that the Terminator must obey his orders, and together they break Sarah out of the looney bin. Once they regroup and arm themselves to the teeth, they resolve to stop Skynet at the source, enlisting Cyberdyne Systems engineer Miles Dyson (Joe Morton) to help them stop Skynet before his company builds it. During the raid, the T-1000 shows up and a nonstop chase ensues. Meanwhile, the Terminator becomes John’s father-figure and friend, leading to a sad end when, after disposing of the T-1000 in a metal works vat of steel, the heroic cyborg lowers himself into the vat as well, removing all evidence from the timeline. While the story could be discussed more thoroughly, best to leave it alone or ignore its contradictions altogether. Once the viewer starts thinking about it, this yarn begins to unravel, beginning with Cameron’s sloppy time-travel logic established on The Terminator. Perhaps “sloppy” isn’t fair; after all, he has embraced the idea of the temporal paradox, a frustrating notion that suggests time is a loop instead of a straight line. Depending on what you believe, or if you can even wrap your head around it, Terminator 2: Judgment Day can prove a maddening, at least from the perspective of temporal theory. The problem is this: Without the Terminator from the first film going back in time and leaving a robotic arm and computer chip behind, Cyberdyne would have never developed the microprocessor necessary to create Skynet. (Just to recap linear temporal theory, time is sequential and moves in a forward line until altered by time travel, so Dyson would’ve had to initially invented Skynet without the benefit of Terminator leftovers.) So the question is a familiar one—which came first, the chicken or the egg? Therein resides the temporal paradox of this series and the unsatisfying way in which Cameron explores it. But why bother complaining about holes or vaguely explored notions in Cameron’s application of science-fiction; clearly, he’s more concerned about the action, no matter how implausible its motivations. Reprieves from the action come in sappy moments between the Terminator and John, high-fives aplenty, leading up to the final “thumbs up” that lets John know everything’s gonna be okay after the machine is lowered into molten steel. The film’s only slow moments involve intermittent narration from Sarah Connor about her fear of the apocalyptic future, her apprehension toward the Terminator, and finally her optimism for an uncertain future. 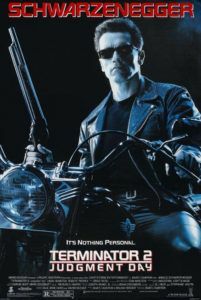 While the real main characters are the special FX and Cameron’s direction, the film offers two-dimensions per role instead of The Terminator’s one-dimensional characterizations. 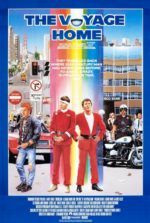 However cheesy such displays of the central boy-cyborg friendship prove to be, the performances wash over the excessively sentimental script. Patrick’s intense running face amplifies the suspense of those chase sequences where John barely keeps away, and Schwarzenegger lightens up his robo-acting with some much-needed humor, even if moments where he utters “I know now why you cry” in his brutish tongue induce a cringe. Hamilton goes beyond the limitations of her 1980s-babe role originated in the first, straightens her shaggy hairdo, and retains the physique of a wiry soldier. And though Furlong, who has since disappeared from Hollywood and can’t contain his cracking voice, he serves that vital pop-culture relevance through which viewers enter into the material. Upon first viewing, the picture wows like few others. But time has been cruel to this hugely influential pop-culture landmark, rendering it less impactful. As blockbuster-sized as Terminator 2: Judgment Day remains today, its appeal and substance have faded with every passing year. 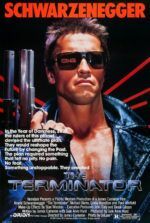 Perhaps a result of the film’s overexposure and much-referenced imagery, not to mention Schwarzenegger’s lingering “Governator” persona, the film has become a cliché within itself, almost unwatchable without evoking an unintentional laugh or two at the very 1990s air consuming everything onscreen. Worse, when closely compared to The Terminator, the film hosts a bad case of sequelitis (and its inspiration from The Road Warrior never seems adequately acknowledged by its most passionate fans). Nevertheless, Terminator 2: Judgment Day also happens to boast engaging, impressive direction, despite its brief moments of melodrama and schmaltz. More so than other actioners from its era, the film is anything but timeless and that remains its unavoidable flaw. Still, if you forgive the date-stamped quality of everything onscreen, Cameron’s pacing and relentless chases are truly invigorating, a wonderful sample of exceptional technical filmmaking.